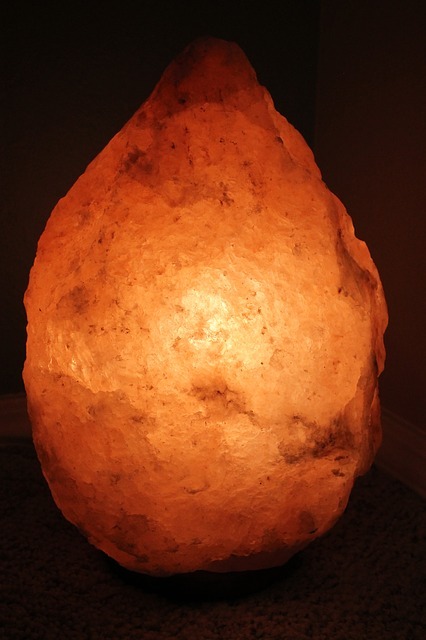 Simply put, Himalayan salt lamps are large pieces of Himalayan salt with a bulb placed inside. This unique combination naturally creates negative ions. An ion is an atom or molecule that does not have an equal number of electrons or protons, meaning it has either a net positive or negative electrical charge. According to BeWies Holistic Market, an organic food and homeopathy store in Armonk, NY, most people are continuously being overloaded by positive ions, which can have numerous health consequences. This constant attack on the body can intensify issues such as allergies, sleep problems, and stress. With the aid of negative ions, however, they can be neutralized. Cleanses The Air Of Harmful Particles: Usually, airborne bacteria, mold, pollen, and dust tend to have a positive charge. Adding a Himalayan salt lamp to your home can help to neutralize these issues. It will reduce any irritation you might have previously felt due to particles in the air, which caused you to sneeze or cough or exacerbated problems such as asthma. This clean air will continuously give you the refreshed feeling you experience each time you open a window for fresh air. Increases The Flow Of Oxygen: Negative ions help to increase your blood flow, which improves the rate at which oxygen is spread throughout the body. When more oxygen is able to make it to your brain, you become more alert, less tired, and generally have more mental energy. Neutralizes Electromagnetic Radiation: If you are like most people in today's world, you are constantly receiving a flow of electromagnetic radiation from electronic devices (computers, phones, televisions, and microwaves). Over a long period, this exposure can cause serious health problems, including decreasing your immune system, increasing stress, and creating chronic fatigue. Placing Himalayan salt lamps next to these devices can help to neutralize the positive ions they give off and protect you from electromagnetic radiation. If you are ready to neutralize the positive ions in your home that are affecting your health, contact BeWies Holistic Market today about a Himalayan salt lamp. Call (914) 273-9437, or learn more about the organic food and other homeopathy services provided by visiting the website.